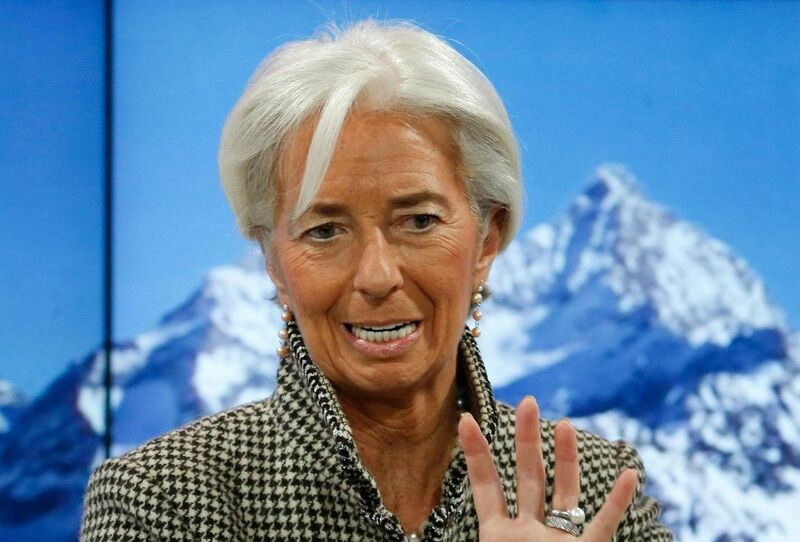 Even though the middle class is growing globally, that is not the case in the developed world, IMF Managing Director Christine Lagarde said to a crowded room at the World Economic Forum on Wednesday (18 January). Pointing at rising inequality, Lagarde repeated what she said back in 2013 during a speech to the same audience. Recent events seem to confirm that the message of what she said then was not taken seriously. “Now we have an opportunity to put in place policies to solve it,” she insisted, pointing to strong signals coming from voters. “Policymakers need to get the signals now and think what can be done,” she added. Lagarde called for a solution that would be granular, regional and more focused than what we have in place at the moment, stressing that redistribution is a tall order. WEF’s latest report highlighted growing inequality as the top global risk for 2017 and noted technology’s role in this divide. According to researchers from Credit Suisse, the richest 1% owned 50.8% of the world’s wealth in 2016, up from 45.4% in 2009. The wealthiest 10% hold 89% of all assets. Globally, inequality between countries has been increasing at an accelerating pace over the past 30 years. The phenomena is not new. Since the 1980s, the share of income going to the top 1% has increased in a number of European countries, as well as the US and Canada. The skill-biased technological change combined with the scale effects as markets become more interconnected, increasing global competition for talent, are at the core of the problem. Add to that soaring CEO compensation as companies become larger and the picture shows an explosive cocktail. 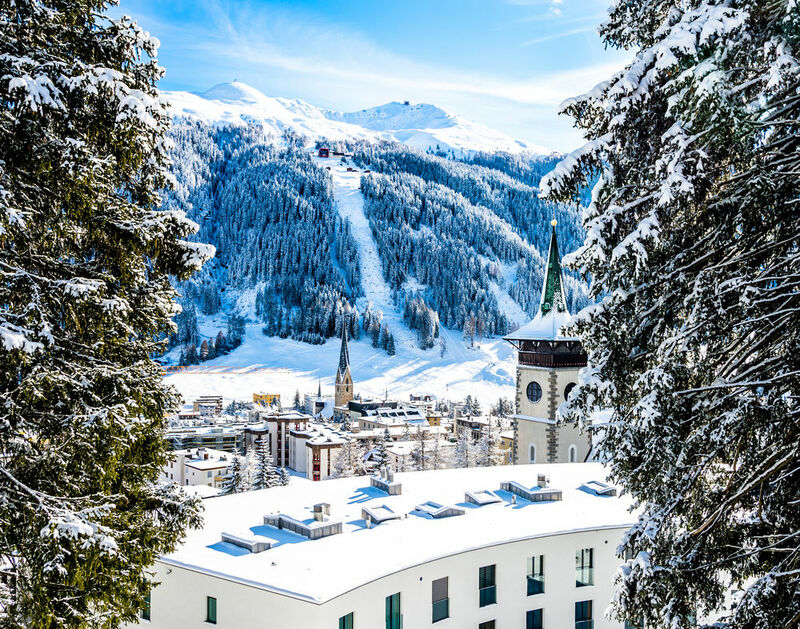 Experts in Davos also point to the slow recovery since 2008, which has intensified local income disparities, with unemployment remaining high. 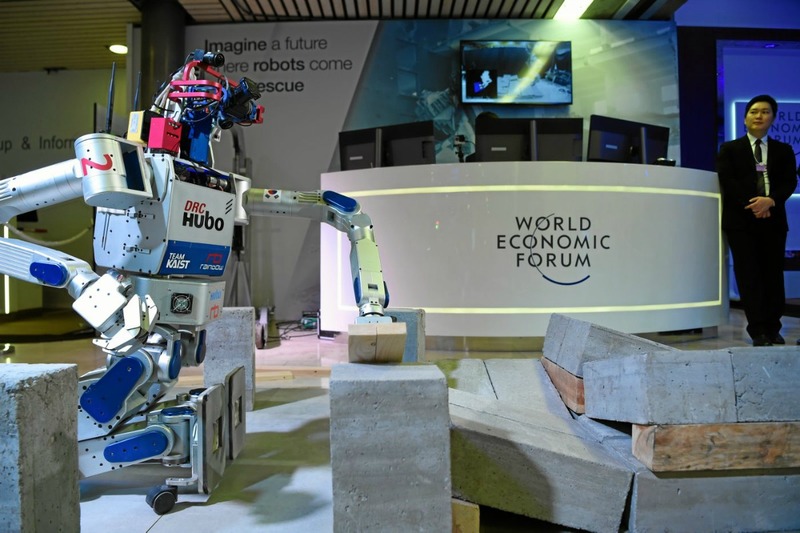 Klaus Schwab, the founder and executive chairman of the World Economic Forum, highlights in his latest book that the fourth industrial revolution and a significant decline in share of labour as a percentage of GDP will inevitably increase inequality and grow concern about unfairness. “The challenges of rising inequality will be hard to quantify as a great majority of us are consumers and producers so innovation disruption will both positively and negatively affect our living standards and welfare,” he writes. 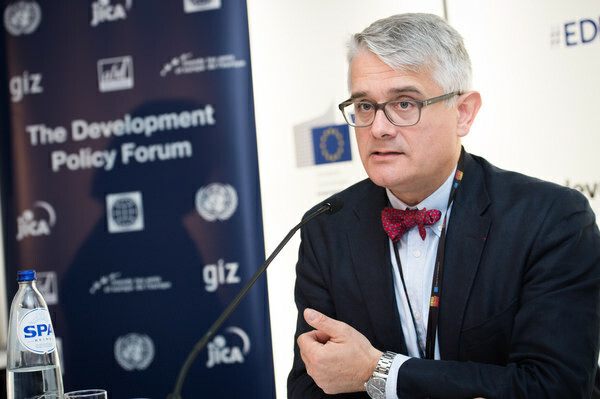 Much of the value that digitalisation can potentially generate for society will remain trapped unless efforts are stepped up to align private-sector investment incentives with the long-term public good, according to findings of the World Economic Forum Digital Transformation Initiative (DTI). Lagarde was clear: “We are not going to fight against tech progress, or disrupt the whole supply chain”, so we’d better adapt and look for safety net. Across the board, business and industry leaders point to a number of solutions, starting with education. Education, from early childhood through the course of a working life, has tremendous potential to combat inequality and unlock the potential of individuals and entire economies. Either the inequality gap continues to widen, leaving the world much less stable; or we invest in the creating the policies and education programmes that train young people for the jobs of tomorrow and retrain displaced workers, noted Marc Benioff, chairman and CEO at Salesforce. “We will have to reskill the workforce but the traditional education will not get us there,” Randall Stephenson, chairman & CEO of AT&T said, mentioning his company has started aggressive programmes of retraining. “The progress is stark,” he added. But “we need to reinvent innovation”, insisted an MIT researcher. To face the new crisis of expectations, we need to provide a vision, said Pier Carlo Padoan, Italian minister of economy and finance. “Europe has not a strategy for this new phase,” he continued, warning against turning inward like it happened with the refugee crisis. “The problem in Europe is Europe,” he insisted. “The challenge Brexit and Trump is posing is that there is a vision. You may agree or disagree with that vision, But there is a challenge that the Brexit is posing and Trump is posing. “We don’t have a vision in Europe, not a vision that is comparable in terms of power,” Padoan said during the debate with Lagarde. OK Lagarde, here’s how you do it: Make the banks non profit enterprises and cap the bankster officer salaries to a couple hundred thousand a year. Hand out a Jubilee decree to Joe Average who’s hand to mouth salary has been going down because of the deteriorating dollar since 1913. This is just a start, but it would serve to keep the pitchforks and rocks at bay. Otherwise old guys like me will be offering refreshments, pitchfork repair and caches of nice rounded smooth rocks to the hordes coming after you and your bankster buddies on that fateful day when enough have finally had enough. God willing, it will happen in my lifetime. I trust the attendees at the WEF recall their history and that Leaders fall when the middle Classes are neglected.